The exterior of a building is seen. Voice from building: Two simple choices. 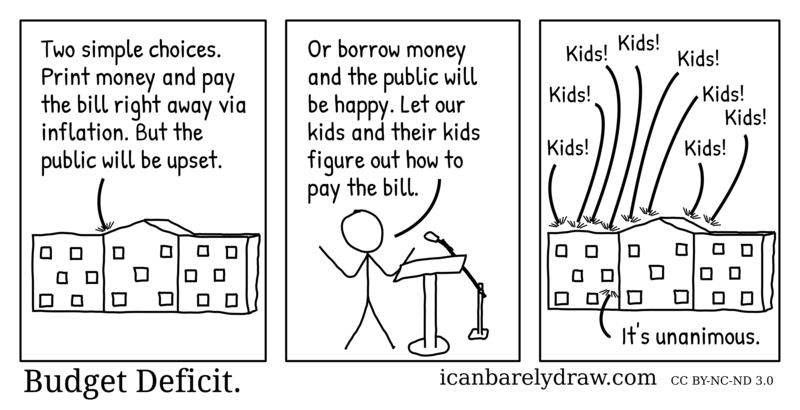 Print money and pay the bill right away via inflation. But the public will be upset. In the next panel, a man stands behind a lectern and near a microphone. Man: Or borrow money and the public will be happy. 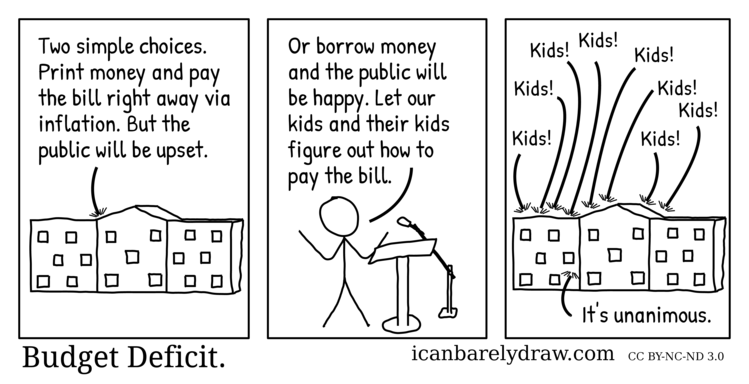 Let our kids and their kids figure out how to pay the bill. The third and final panel shows the exterior of the same building. Many voices from the building say the same thing apparently in unison: Kids! Voice from building: It's unanimous.